In partnership with the Vermont Boat and Marine Association and the Lake Champlain Basin Program, Lake Champlain Sea Grant and UVM Extension are proud to host the annual meeting of marina owners and operators on Friday, March 29, 2019 at the Courtyard Marriott Burlington Harbor. The draft agenda for this meeting is available here. Those planning to attend should RSVP with Stephanie Larkin at slarkin@lcbp.org. To request a disability-related accommodation to participate in this program, please contact Kris Stepenuck at 802-656-8504 no later than three weeks before the event so she can assist you. Moon Brook runs through industrial, business and downtown portions of Rutland, Vermont, before it flows into Otter Creek, a main tributary of Lake Champlain. The brook carries contaminants, pollutants, and an increased volume of runoff collected on impervious surfaces in the watershed. During large rain events, Moon Brook overflows its banks and causes severe property damage to adjacent residences and businesses. LCSG is partnering with the Rutland Natural Resources Conservation District, Vermont Technical College, the City of Rutland, and local businesses to design and install low impact development practices on properties in the Moon Brook watershed. 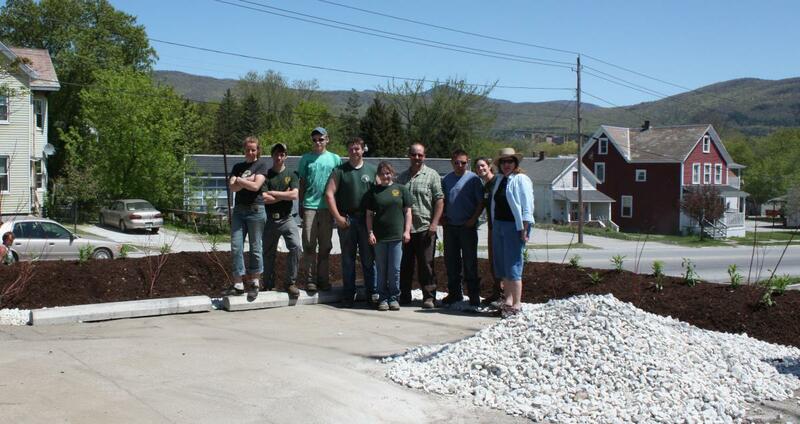 In 2010 more than 50 Vermont Technical College students partnered with two local businesses and a medical park to improve water quality in their community while learning valuable career skills, "green" jobs, and the importance of stormwater management. In addition, participating businesses now have the knowledge to educate their community on how low impact development landscaping can be an attractive method of improving water quality and reducing the risk of future flooding. In 2006 several groups in Vermont and the Lake Champlain Basin in New York began pooling resources and ideas to create a coordinated outreach message. In addition to promoting the use of phosphorus-free fertilizer with the “Don’t ‘P’ on Your Lawn” message, this partnership has created other healthy lawn tips and encouraged local retailers to stock phosphorus-free fertilizers. 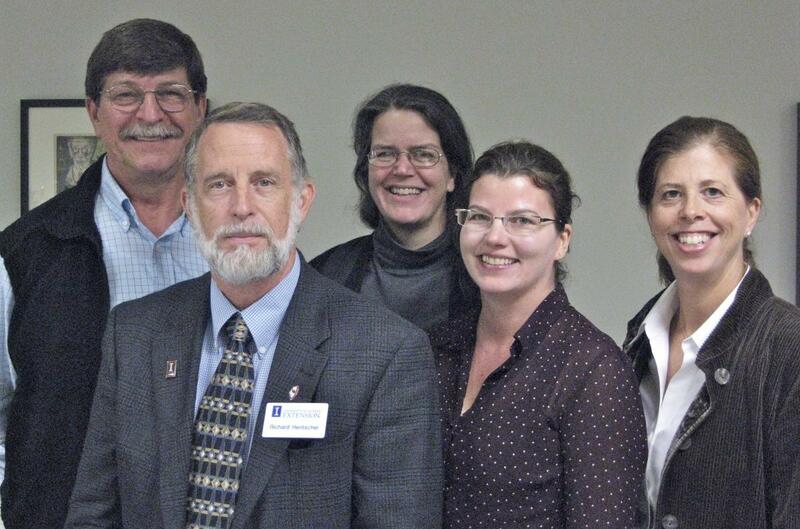 Partners include Cornell Cooperative Extension, the Lake Champlain Basin Program, the Lake Champlain Committee, Lake Champlain Sea Grant, the Smart Waterways Regional Stormwater Education Program, and the Vermont Agency of Natural Resources. The successful Lawn to Lake effort expanded from Vermont/New York to include southern Lake Michigan, with new partners from the Illinois-Indiana Sea Grant, University of Illinois Extension, Safer Pest Control Project, Purdue University-Calumet and others, with funding from the Great Lakes Restoration Initiative. Today, this effort includes an effort we call "Raise the Blade." Homeowners, businesses, and municipalities are encouraged to follow three simple lawn care practices that help minimize stormwater runoff. Learn more at lawntolake.org. As part of this effort, we are partnering with numerous local businesses. Some have adopted the recommended practices on their properties, while others are helping us research differences between lawns managed with different practices. New York Sea Grant developed a brochure designed to help dog owners understand potential risks to their dogs if exposed to harmful algal blooms. Working in consultation with Vermont Department of Environmental Conservation, Lake Champlain Sea Grant updated the brochure with relevant information for this area. View this brochure >> Keeping Your Dog Safe from Harmful Algal Blooms.